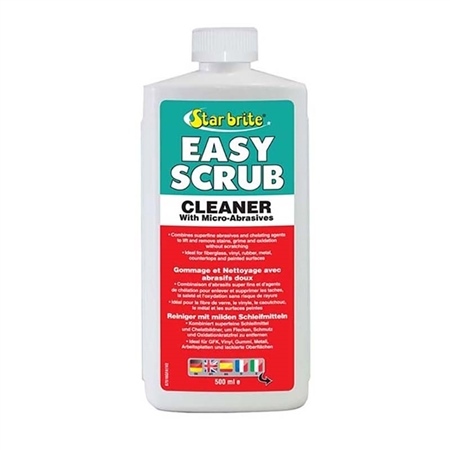 Starbrite Easy Scrub cleans ground in dirt and stains from fibreglass, metal, plastic, mica, tile and painted surfaces. Does not contain phosphates, environmentally friendly. Contains special heavy-duty formula with mild abrasives; excellent for cleaning stainless steel sinks.